The long-awaited program was launched at the Amcal Chempro Pharmacy Ashmore, on the Gold Coast. Pharmacy partner Paul Jaffar told the AJP today that the team is very excited to be a part of the screening trial. 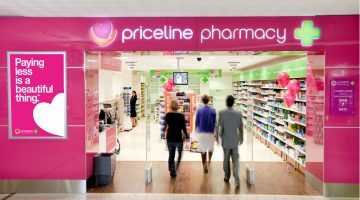 “We’re looking forward to it particularly because it will enable our pharmacy to play an expanded role in primary health care and early intervention when it comes to Type II diabetes. 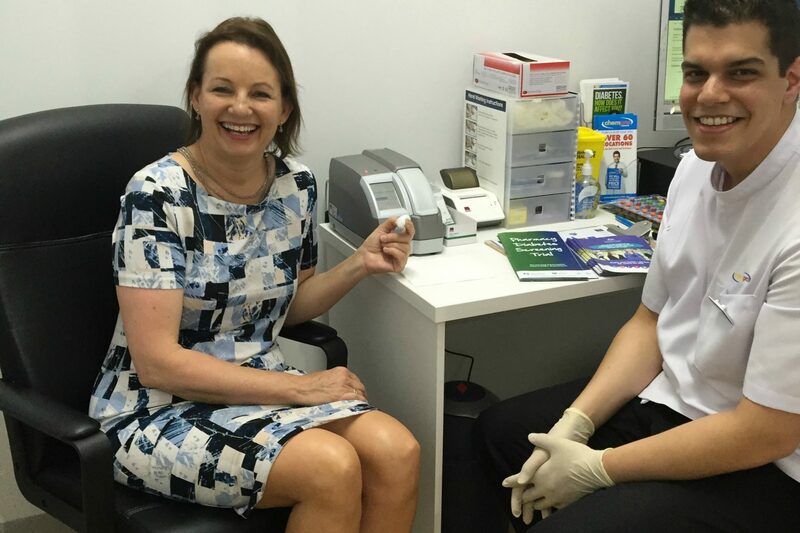 Launching the program, Sussan Ley said “extending the role of community pharmacists in primary health care will help more Australians to be tested for type 2 diabetes. More than 350 pharmacies across the country will participate in the trial to test the effectiveness of different approaches in diabetes detection. 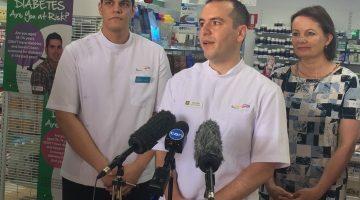 “Pharmacies are the most accessible health infrastructure in Australia, therefore I think we’re in a unique position to be able to offer this service,” says Jaffar. The AJP can also report that the Health Minister’s screening test did not reveal that she is at risk of diabetes. Image: Pharmacist Justin Armstrong takes the Minister aside for diabetes screening.